So excited to be in the midst of the zombie horde. 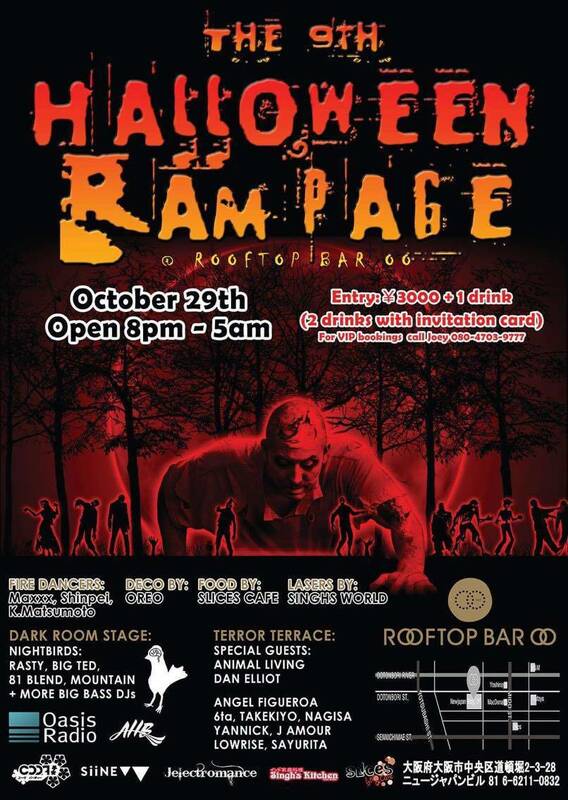 This is the best place for concentrated Halloween fun. You can spend the entire day in costume, running around to various for photos, and after 6pm, enjoy frolicking with the park staff dressed as zombies (only in a specific area of the park). Most of the park stuff are really into the Halloween spirit and will help you take photos (the non-Japanese staff seem more uptight). 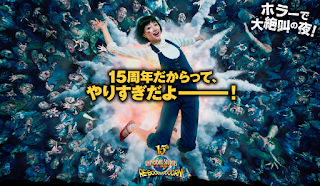 Unfortunately, this is a rather popular season for USJ, so there are will be a lot of people until most of the events end (November 6th). USJ staff dressed as zombies wander through this area of the park, trying to scare you. Most attempts are for naught as you can hear other park attendees screaming from a mile away, but it's fun to hang out. You might get a nice photo op with the right timing. I don't know what this is as the wait times for Tatari are almost always over 2 hours, but it is open all day (though probably not as scary mid-afternoon). The way they describe it on the site is "a pure, home-grown brand of horror. at the end of countless torii is a strange village. in the depths of this village, a doll funeral is being held and a shrine where terrible incident occurred. You fine yourself lost in this village, isolated from the real world, and left to endure a fear unlike any before." These are a collection of 5 minute mazes based on popular horror IP's. This year features Chucky, Friday the 13th, The Exorcists, Trauma 2 (paid attraction). These attractions take place in the 3-D/4-D theaters in USJ. No separate fee but the queue is ghastly. Express tickets are available. The only famous IP is Sadako (The Ring). The other attraction, Schoolyard Ghost Story, looks like an original, mostly aimed toward younger kids (elementary school-ish). This event will only take place in Harry Potter Land (obvs) every 30 minutes or so. Based on the description on the site, it sounds like a small street performance with some water effects. I'd like to see it, but the problem with HP Land is that if you get the entry-ticket to go in at 1PM, there is absolutely no reason to stay in that area until 6PM. The zoo will open in the evening for special exhibits featuring pumpkins and lectures (?? 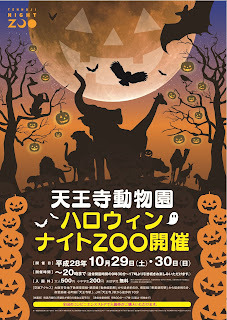 I guess, the only special thing seems to be lights and feeding animals pumpkin). There will also be live music (is that good for animals?? esp. nocturnal ones?) on the 29th and 30th. You can view additional information in Japanese here, or English information here. 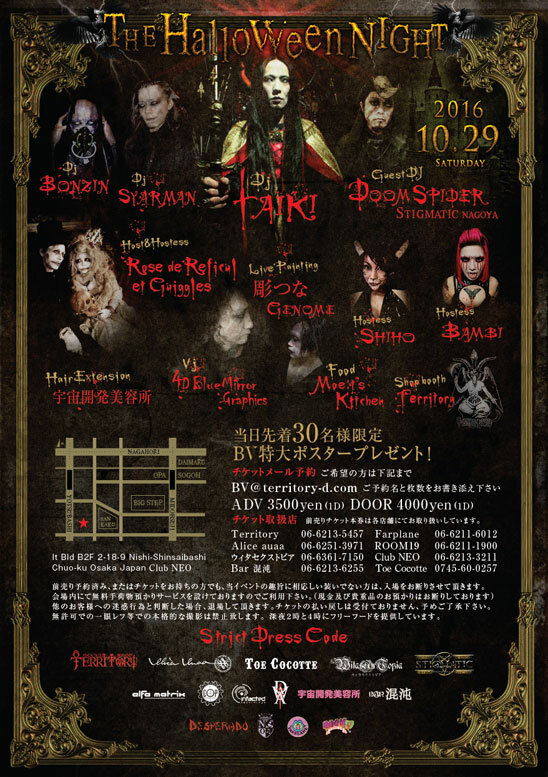 A famous event for more gothic circles in Japan, they throw a Halloween party (and NYE party) every year. 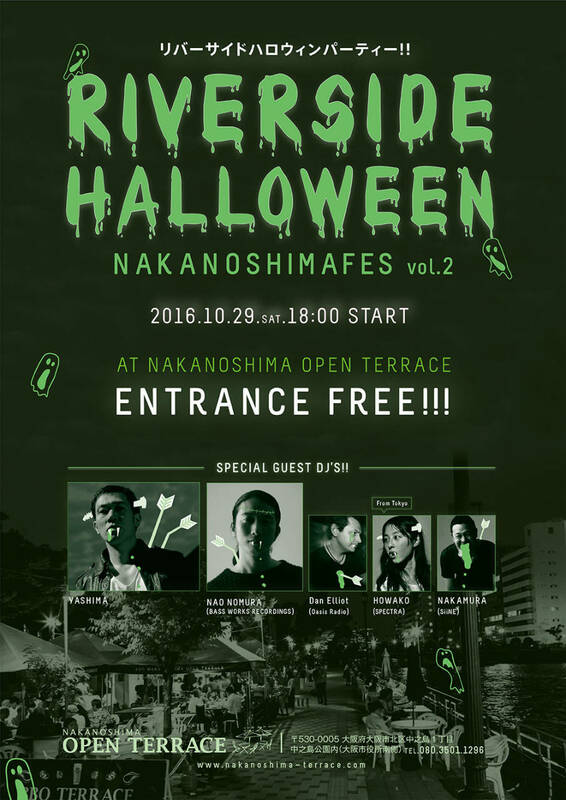 Most of their events take place in Tokyo, but the Halloween event is in Amemura in South Osaka. They charge a pretty high premium (4,000 yen at the door, 3,500 in advance), but this could be an instance where you get what you pay for? Official site and information can be found here in Japanese. If you have any questions (or need a translation), feel free to ask! 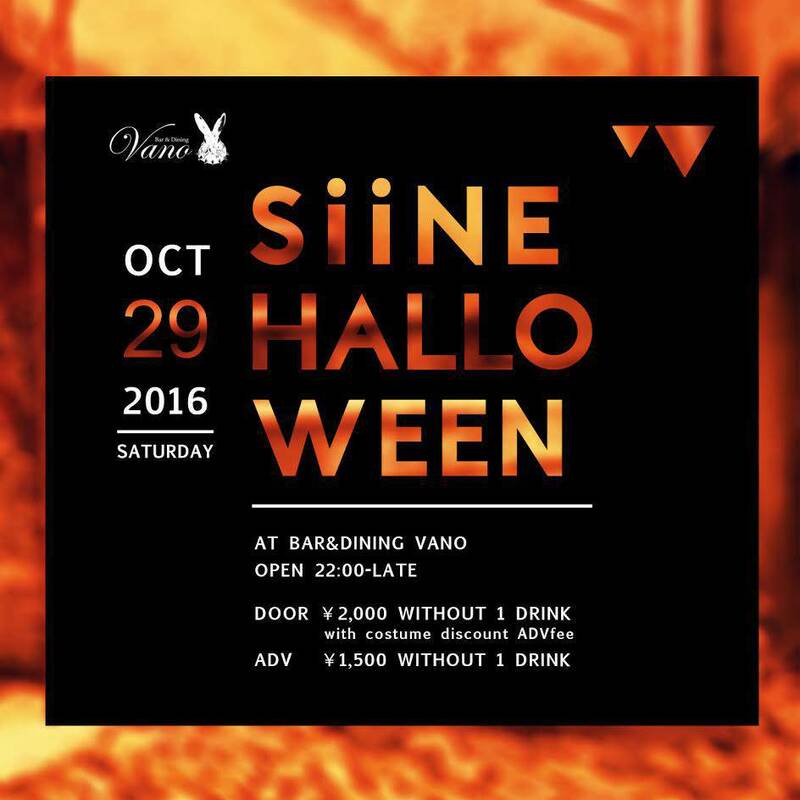 There are a LOT of clubs in Kansai, and some are open on weekdays, which means you can get even better deals on entry and drinks. Sadly, I don't have all the time in the world to translate all of the information. I do, however, have a link and a word list to help you translate the bare minimum. Feel free to ask questions, but also remember that I may not get back to you in time for the event. You best bet might be rikaichan. 街コン - It's like speed dating. You'll probably have to be pretty fluent to participate as most people attending these events are looking for life partners (heavy, right?). Not the best place to find a fling or friend. Also, very pricey in almost every case. Especially for guys. 交流会 - A mixer, usually for making friends or dates. These tend to be on the pricier side, and may be rife with gaijin-hunters. Some require you to get your buy your ticket in advance, while some are walk-in friendly. 予約必要 - Reservation needed. You can probably use the site linked above to register, or head to the shop itself and buy a ticket beforehand. 残り２０人 - 20 Spots left. These events are limited to a certain number of people. This phrase tells you how many spots/tickets are left. 婚活 - Marriage Party. People looking to get married. Bring you income receipts because it's that serious. Check the event page and it will probably tell you whether or not you make enough to go. クーポンあり - Coupons are available through this site. 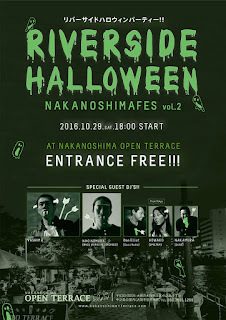 This is a pretty well-known event in Osaka. I attended #7 with a few friends and it was a good time; a nice change of pace from the full-on club events (it's easier to have a conversation, plus there is re-entry). 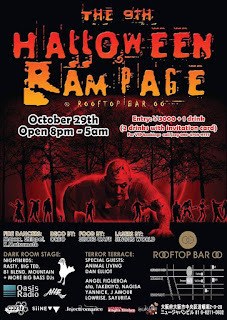 It's a nice back-up plan if you're looking for a Halloween party with a western flavor (i.e., I think the best/most creative costumes show up here). Click here for the English iflyer event page. There should be a Facebook Event page somewhere too. This is an event I've not heard of before, but looks pretty interesting. It's free to enter and there will be food and drink stall.s To be honest, it sounds like your average street festival, just with the added topping of 'costume'. Click here for the English iflyer event page. Another event I've not heard of (I don't really go out that much, so that's not all that surprising). This is one of the few events I've seen that only plays House music though, so I would probably recommend it to all the house folks. 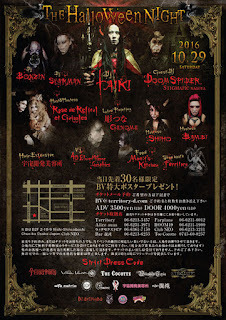 I've never been to the venue, so I can't imagine what the atmosphere will be like, but costumed folks can get in for 1,500 yen, which makes it much cheaper than most other events. Cause for concern, maybe, but possibly a good deal. Click here for the English iFlyer event page. 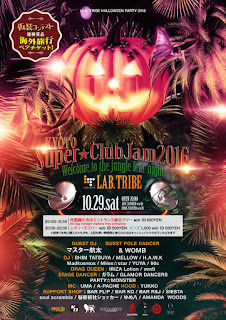 I don't usually post about Kyoto clubbing events, but when I do, you can be certain that I've never been. 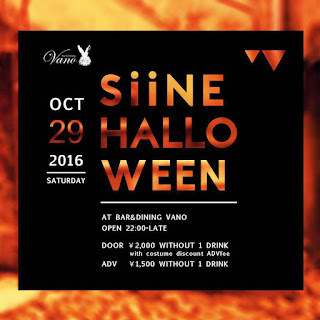 I was feeling guilty for only listing clubs in Osaka for my 'Kansai' Halloween post, so I threw this one up. It looks decent, but I'm guessing you don't have many options in Kyoto so (let me stoooop, I'm sure it's a great place). Just know that you'll probably be stuck at this one club allllll night. Until first train. Choose wisely. Couldn't find any clubbing events in Hyogo, but are we surprised? Hyogo is more family friendly than all the other prefectures combined. Anyway, these are just a small selection of clubbing events running on the 29th. Please use iFlyer.tv to check on other events that might be running that day! Click on the Option drop-down menu to select an express pass. 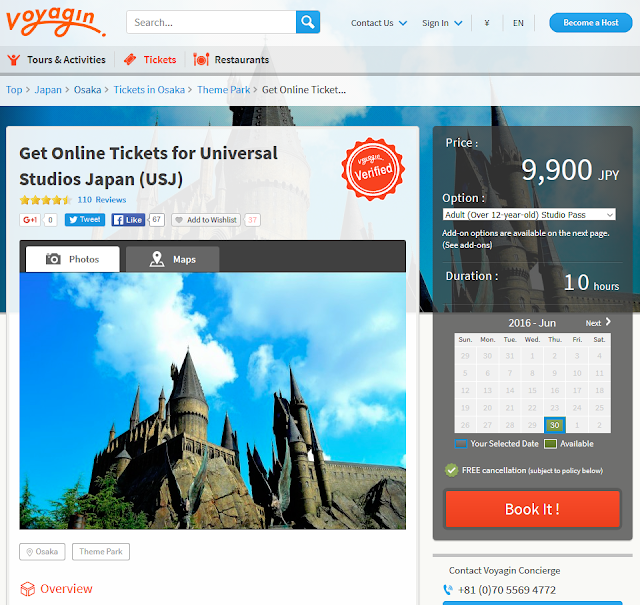 If you're looking for an English-language service for getting your USJ Halloween tickets, check out Voyagin! They'll help you get your park tickets, plus they have extra options for the Halloween Horror Nights and they can get you train tickets for your trip to the park. If you need them to, they can even print and send your tickets to your hotel, but make sure to read the instructions on how.